A simple one-page template with an enticing grid-style homepage. 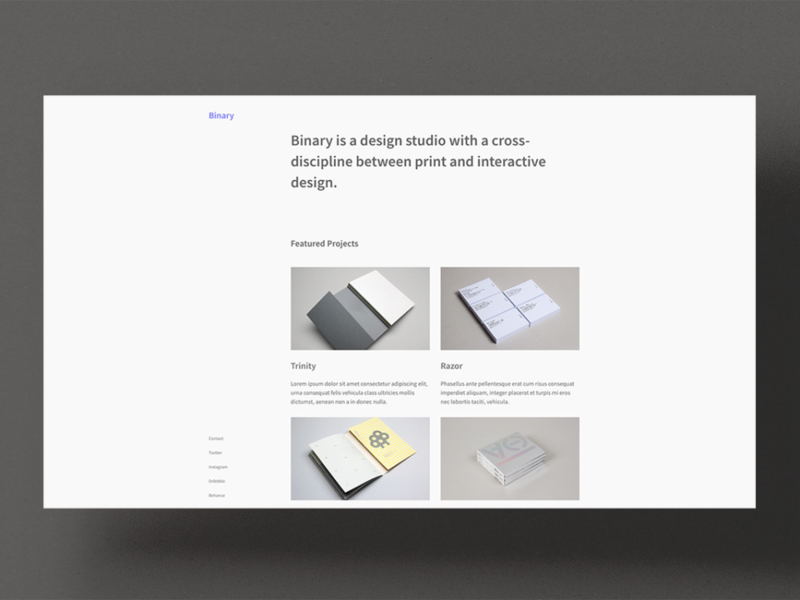 Binary is a simple yet elegant one-page template with an enticing grid-style homepage. Its subtle page animations and scaling fonts display your work in a bold and immersive way.